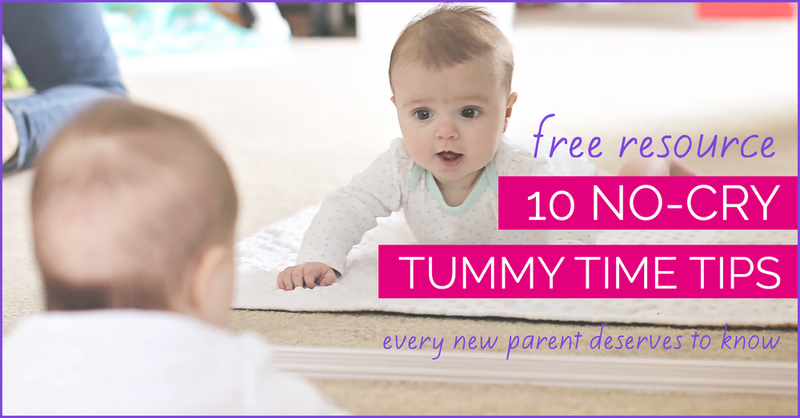 Have a toolbox full of Tummy Time tips and play ideas to try. There is no single tip that will work for every baby (any parent of more than one will agree that they truly are all so different), so it's best to be prepared with many, many, many things to try. Parenting a baby is, in large part, trial and error and Tummy Time is no different. That's why I'm excited to share 36 of my best Tummy Time tips and activities with you in a 3 minute video (because isn't that about as much free time you have since adding a new little one to your family?). You can also find the list of tips below the video, many with links for further reading. Note: Each link will open in a new tab, not to be incredibly annoying, but to allow you to easily navigate right back to this list.